It was a friend’s 40th birthday weekend that lead her to a new business. 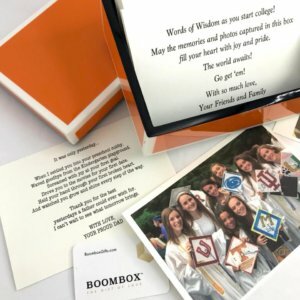 Christina Geist’s best friends from college set out over email to gather notes and photos from the friends and family of the gal being celebrated. Christina designed them all onto cards and presented them to her friend in a beautiful box. 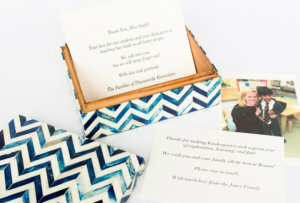 “This gift was so special and had such a profound impact on my friend. I realized it was a big idea before I even gave it to her.” But how could technology help her create a DIY experience, with less of the Y? “I reached out to my own village of friends and colleagues, telling them what I wanted to do. That’s how I found the right tech partner to help me with my idea.” Christina developed a flow chart of how she saw the process working and took it to the tech company to build. 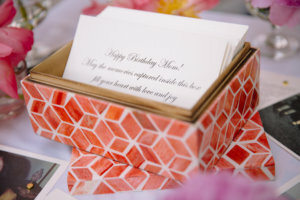 Meantime, she continued to make boxes herself as each of her best friends turned 40, and as her father turned 70. Christina wanted to build a user experience that was flawless and high end. “We’re helping people do more than buy something. They’re creating a once in a lifetime gift for someone they love, and the customer service and brand experience needs to reflect that.” Christina set up the input process much like an e-invitation and has a Boombox Concierge Team to help customers every step of the way. The gift giver adds names and emails to a list and sends them a request to upload notes and photos. 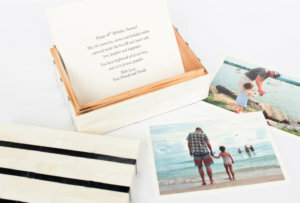 Once submissions are completed, Boombox goes to work creating a beautiful memory box. The design and printing process takes about a week. “Coming up with an idea is easy. 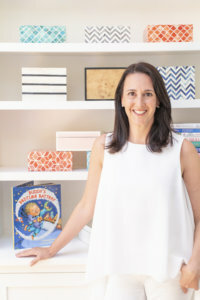 Sticking with it and launching it is another story.” Christina says the feedback she and her team received about the emotional impact of each Boombox, helped them move forward and carefully craft every moment of the experience for her customers. 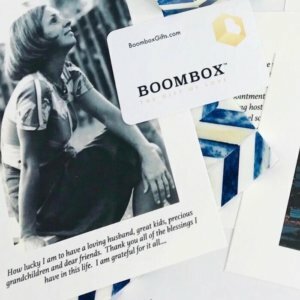 Her team is made up of mostly women who were drawn to Boombox to help people create something truly meaningful. “It’s very scary to put something out there in the world with your name on it. I could have easily talked myself out of this idea. My husband was so supportive and never doubted that I could do this.” Christina’s goal is that everyone can experience the emotional depth of a Boombox at some point in life. When you see something that has a huge impact on people, find a way to expand on that idea.